Malaysia-based accelerator and early-stage investor 1337 Ventures has recently announced the top three teams from HCM City that will each receive US$25,000 worth of funds and services via its Alpha Startups Vietnam Batch 1. The three teams are Saloneses — a beauty service-booking platform, Perkfec — a platform that allows businesses to track employee achievements and rewards, and Navi — an hourly booking marketplace. 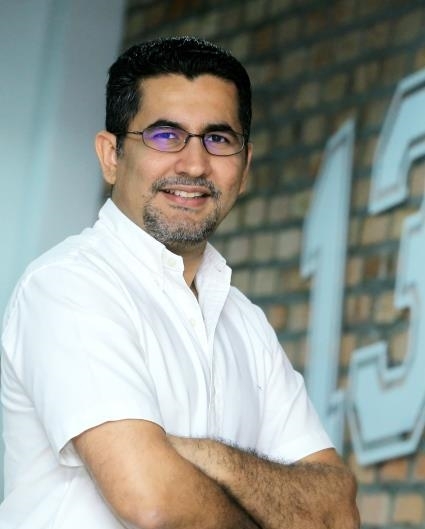 Bikesh Lakhmichand, CEO and Founder of 1337 Ventures, speaks to Thu Huong Le on why 1337 Ventures has tapped into the Vietnamese market and the potential of cultivating young talent here. What factors motivated 1337 Ventures to enter Việt Nam? The Vietnamese startup ecosystem is growing in strength as the government has introduced new initiatives to build a sustainable and advanced ecosystem for startups in Việt Nam. The country is now ranked 90th in the ease of doing business index by the World Bank. In addition, the cost of living or cash burn rate for a startup founder is lower than in neighbouring countries. Good food and reasonable rental can be obtained at a fraction of the cost. At our fintech programme last year held in Malaysia, we noticed there were some amazing fintech startups from Việt Nam. We were impressed with how far such a small team could go and in such a short duration. That’s when we started keeping a close eye on Việt Nam’s ecosystem. We attended and spoke at startup conferences in Việt Nam and started dialogues with the HCM City government about how the Government can work with foreign accelerators to help spur the entrepreneur ecosystem. What’s the main difference between Alpha Startups and other programmes? Alpha Startups is a pre-accelerator, so ideally this happens at an earlier stage. It’s also more intense and done in a shorter time frame. Let’s look at it from both angles. From the entrepreneur angle, they get insights on how a venture capitalist (VC) thinks. They learn the art of starting to validate whether an idea is truly a solution to the problem. If the solution fits, they also get a deeper understanding of product design and the best way to get that product to market in the shortest time frame. They are also coached on the proper art of preparing and presenting a pitch deck during the one-week duration. From the investor angle, there’s nothing more valuable than spending a week with the founders and their colleagues to see whether they have what it takes to persevere through the entire process. Investing at such an early stage is more about the team than the idea. After that, we only accept the top three teams to our full three-month accelerator programme. The easy part is over, now comes the execution. What kind of companies do you think will gain traction in Việt Nam? For our first batch, we decided to just take teams that work well among themselves and had a proven business model in other markets that we have analysed and think it’s possible to execute here in Việt Nam. We are confident that the chosen teams can pull this off locally and then expand regionally. In terms of local problems to be solved, we’re amazed at the number of people who want to solve education and food safety issues. I think fintech and edu-tech will be great for Việt Nam. The other area will be e-commerce. Despite being recognised for improvements in the ease of doing business, low cost of living and a young population, the lack of transparency and an ambiguous legal environment continue to concern investors. What are your thoughts on this and how can government policies better assist foreign VCs in particular and the ecosystem as a whole? We believe the government needs to make it easier to form and wind down companies, not just for foreigners but locals, as well. You already see it happening in the rest of Southeast Asia. The startups will move where the money is. Although Grab was initially formed in Malaysia as MyTeksi, it is now a Singapore-based company since the majority of the funds is drawn from there. The government needs to help develop the local investment sector by getting more involved, either by matching funds or through tax benefits on angel investments. The top-down initiatives implemented by governments to spearhead entrepreneurship are great, but this needs to be balanced to avoid it from becoming a crutch instead. Việt Nam has already got a great start. The total number of startups with valuations greater than US$10 million in Việt Nam is nine, while Malaysia has seven. Both Việt Nam and Malaysia have three startups with valuation greater than $100 million and Việt Nam is ahead with at least one unicorn, VNG. We’re excited at the possibility of more coming out of this nation with more support from the government.